Henry Morgenthau was born in New York on 11th May, 1891. After studying at Cornell University, he published an edited the farm journal, American Agriculturist (1922-1933). Morgenthau was a close friend of Franklin D. Roosevelt and a fellow member of the Democratic Party, helped him in his numerous political campaigns. 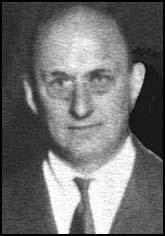 When Roosevelt became governor of New York in 1929, he appointed Morgenthau as a state conservation commissioner and as chairman of his Agricultural Advisory Committee. When Franklin D. Roosevelt became president he appointed Morgenthau as his Secretary of the Treasury. Over the next twelve years, Morgenthau supervised the spending of $370,000,000,000. Morgenthau held conservative views on economics and constantly argued in favour of a balanced budget. Morgenthau resigned shortly after the death of Roosevelt in April, 1945 and retired to his farm in Duchess County. Henry Morgenthau died on 6th February, 1967.